Download the Forum Build 1.3.13 of Dropbox here, now if you plug in a Camera (including Smartphones) you get asked if you like to sync your device with Dropbox. If you choose so for every 500MB of photos and videos automatically uploaded, you'll receive another 500MB space bonus, up to 5GB total. so is it like cloud storage? Its awesome... I already filled storage space!!! 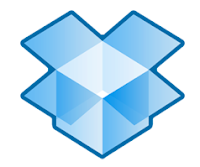 I discovered dropbox a while ago and now I can't live without it. Great tool for both pro and personal stuff.